Specially designed to fit the HP® Elite x2 1012 like a glove, this military-grade case meets MIL-STD 810G Drop specifications to safeguard your tablet against drops up to 4 feet. 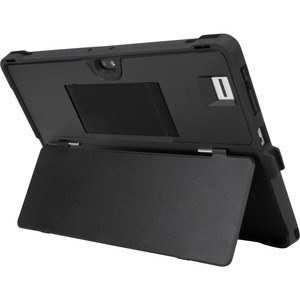 The built-in kickstand perfectly positions the tablet for hands-free viewing and for pairing with the travel keyboard. A built-in stylus holder keeps your stylus (not included) safe and always has a place to live so it doesn't get left behind. 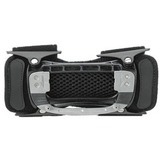 The hand strap comes in handy for professionals working in the field, allowing the case to be more functional. Adding even more versatility is the detachable shoulder strap so you can just throw the tablet over your shoulder and go.